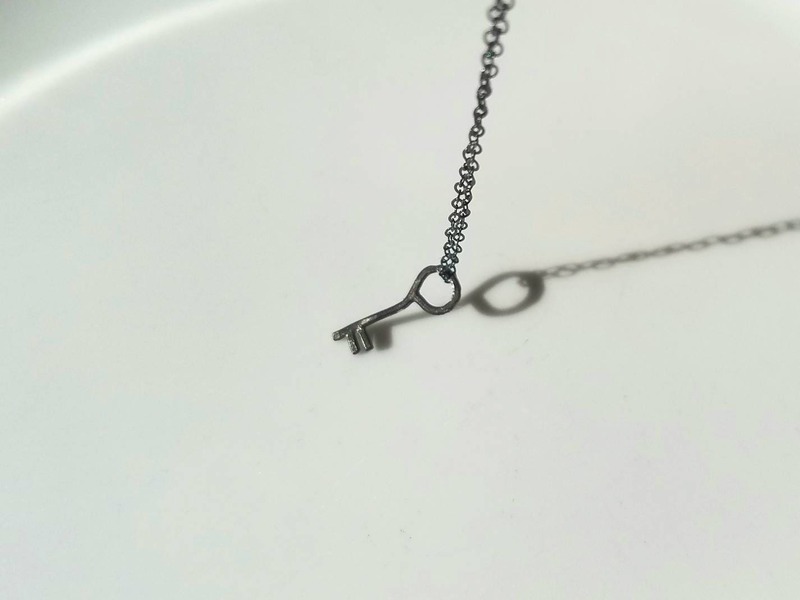 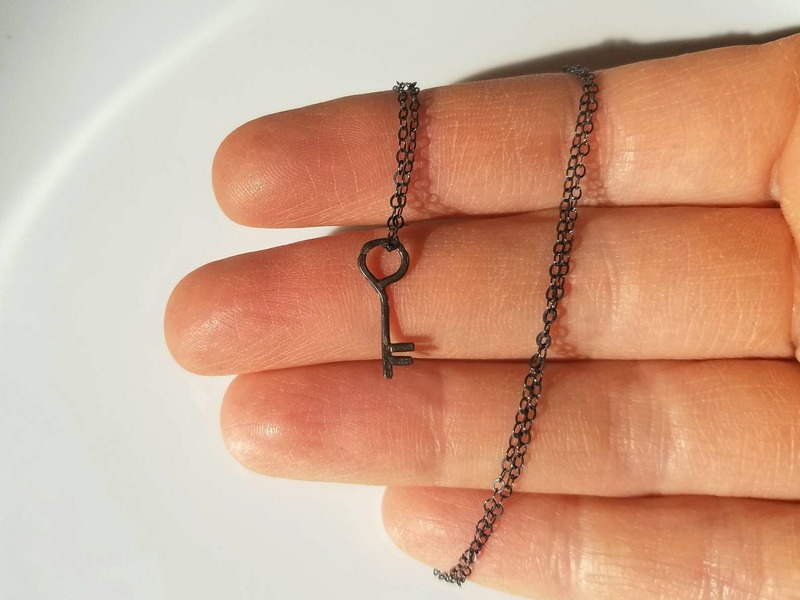 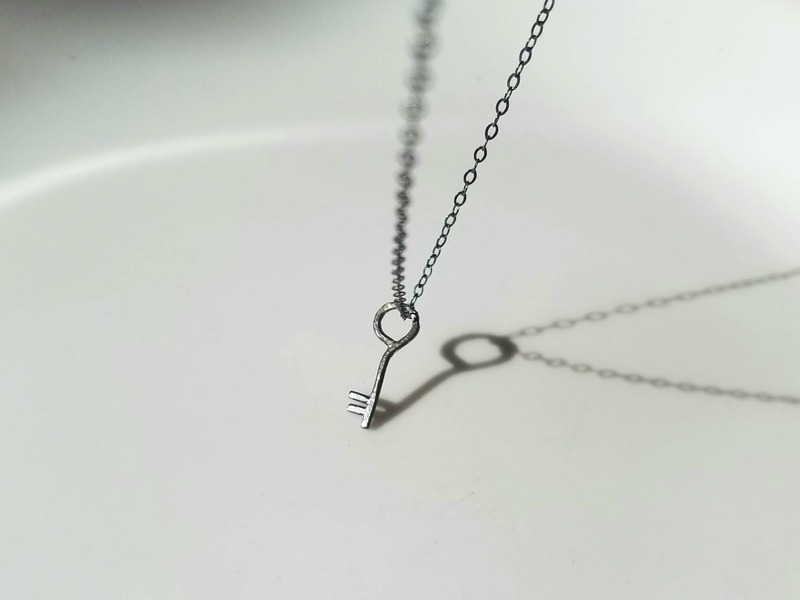 I created this tiny 0.5 inch key out of sterling silver and paired it with a delicate 16 inch chain. 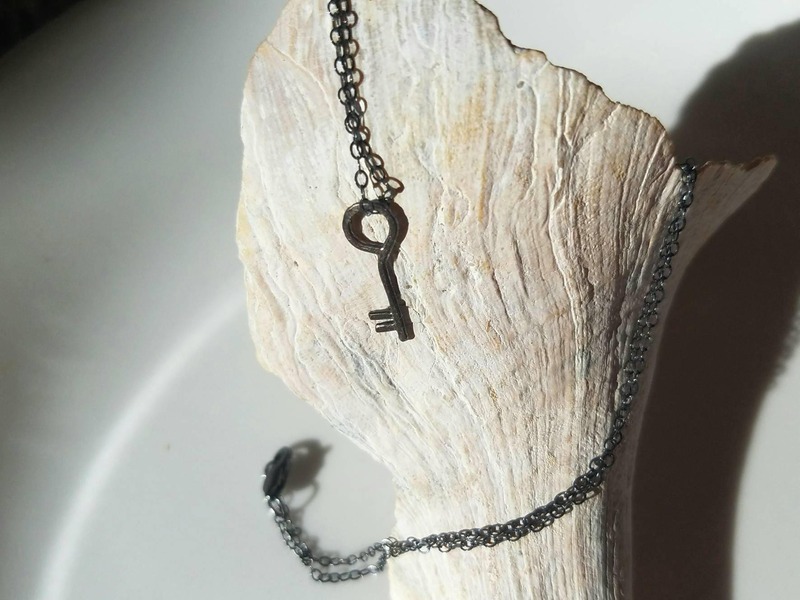 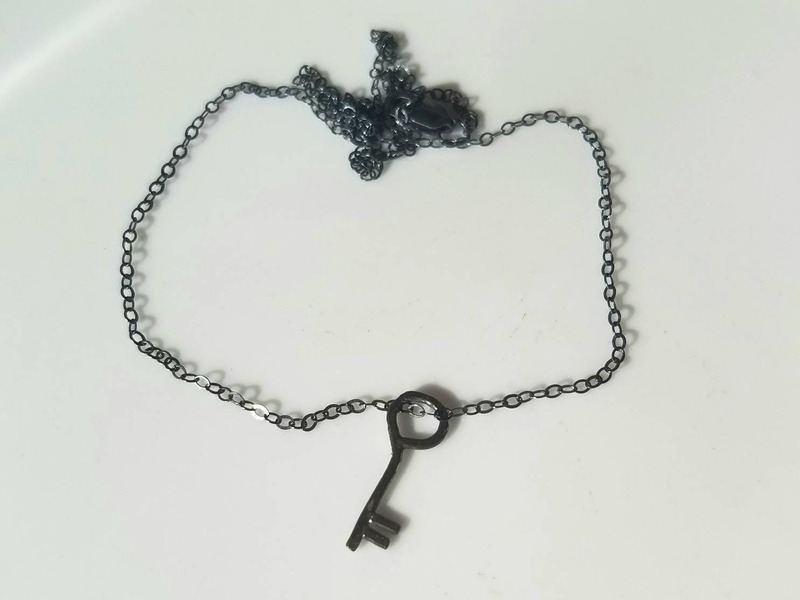 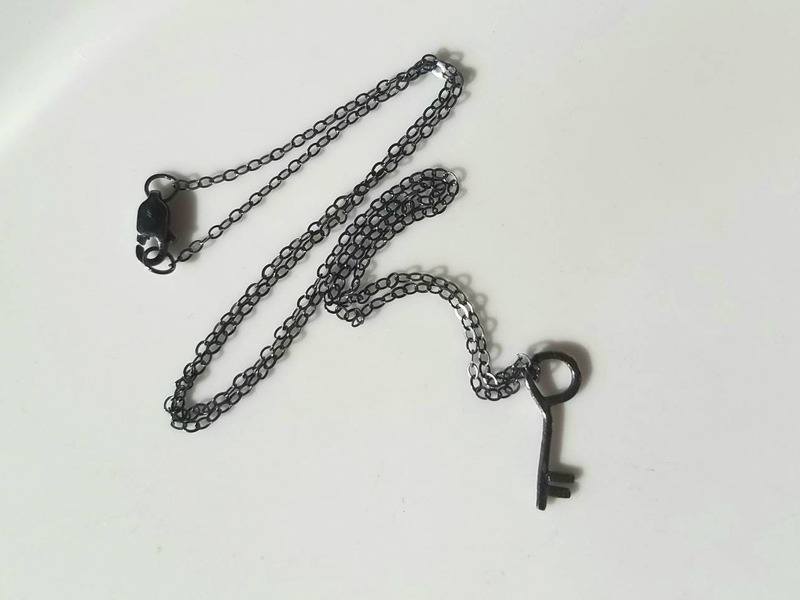 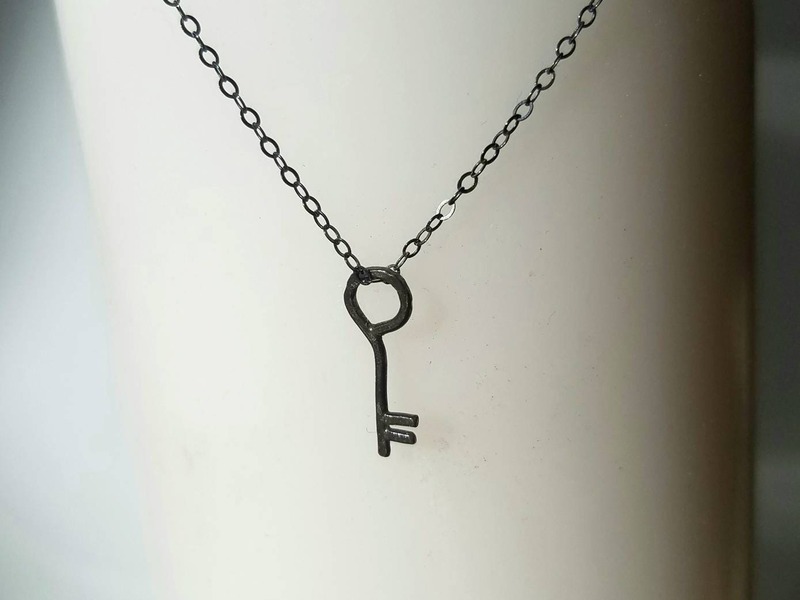 The key and chain are oxidized to give them the dark tone. 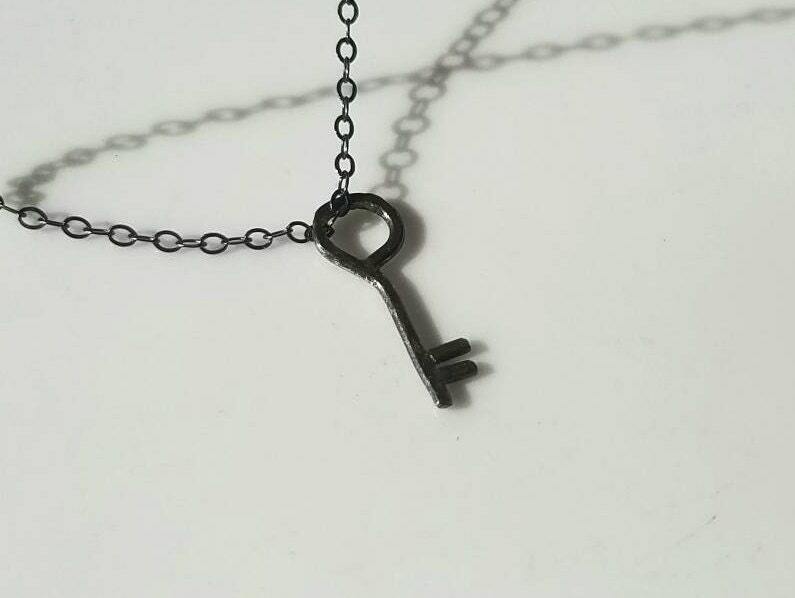 Each key I create is unique just as the person wearing it.